So it is that the gods do not give all men gifts of grace - neither good looks nor intelligence nor eloquence. May the gods grant you all things which your heart desires, and may they give you a husband and a home and gracious concord, for there is nothing greater and better than this -when a husband and wife keep a household in oneness of mind, a great woe to their enemies and joy to their friends, and win high renown. We are quick to flare up, we races of men on the earth. It is tedious to tell again tales already plainly told. 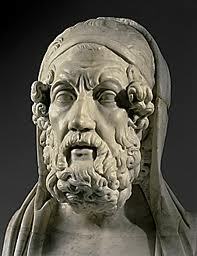 Wide-sounding Zeus takes away half a man's worth on the day when slavery comes upon him. The minds of the everlasting gods are not changed suddenly.